This documentary, part of the series TV in Africa, presents a view of Burundi culture by observing local television programs. 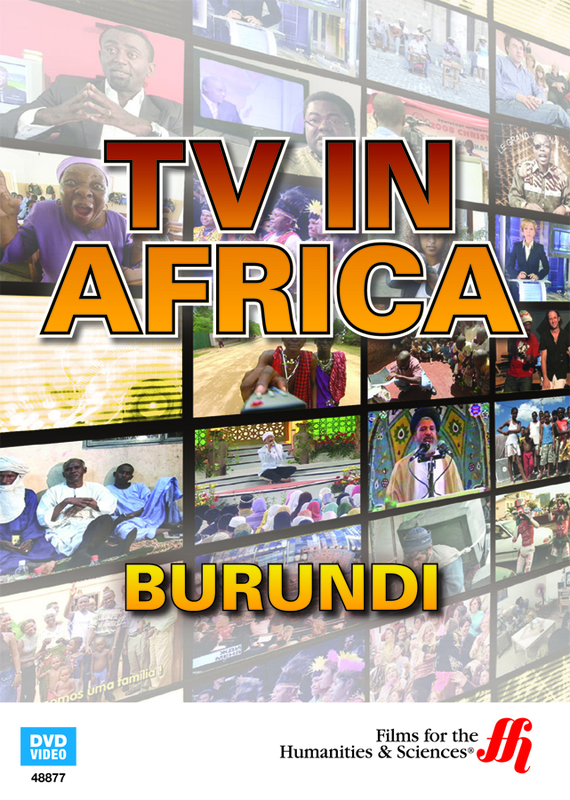 This volume in the TV in Africa series explores the culture of Burundi through the television programs shown in the Southeast African nation. Burundi, which is one of the world’s five poorest nation, has experienced civil war, political unrest and genocide since it gained independence from Belgium in 1962. The documentary observes several television programs and conducts man-on-the-street interviews to get the opinions of Burundi citizens on what they see daily. In Burundi, the news airs four times daily on the national channel RTNB, broadcasting in the four major languages spoken there, French, English, Swahili and Kirundi, the national language of Burundi. There are private networks that broadcast news programming, offering a different perspective from the national channel. The documentary illustrates the differences by showing how each presents the topic of homosexuality in the country. The producers present the popular Burundian soap opera “Ni Nde?” (Who Is It? ), illustrating the rural life in the country where most Burundians live. We also see how the soap’s actors, also from the countryside, cannot even afford a television to watch themselves perform. The documentary highlights the youth culture through viewing music videos, noting that in the difficult economic times, music is one of the few pleasures available to average citizens. These citizens have suffered through a civil war and have turned to religion to help them cope. The documentary gives us a sampling of the wide variety of programming aired on the RTNB, and gives us a look at Héritage TV. A local journalist discusses the ways some of the churches in Burundi can take advantage of the local population.